The great and glorious Day of the Lord begins dramatically with the most phenomenal event since the resurrection of Jesus Christ. Departed believers in Messiah Jesus will be raised from the dead! Along with living believers, they will be transfigured into eternal bodies; “caught up” to meet the Lord in the air and immediately transported to heaven. Rapture is a Latin word used to describe this spectacular scene, soon to come. “But let me reveal to you a wonderful secret. We (believers in Christ) will not all die, but we will all be transformed! It will happen in a moment, in the blink of an eye (the transformation itself, not the entire sequence of the Rapture events as described in I Thessalonians 4), when the last trumpet is blown…. For our dying bodies must be transformed into bodies that will never die; our mortal bodies must be transformed into immortal bodies” (I Corinthians 15:51-53, parenthesis mine). 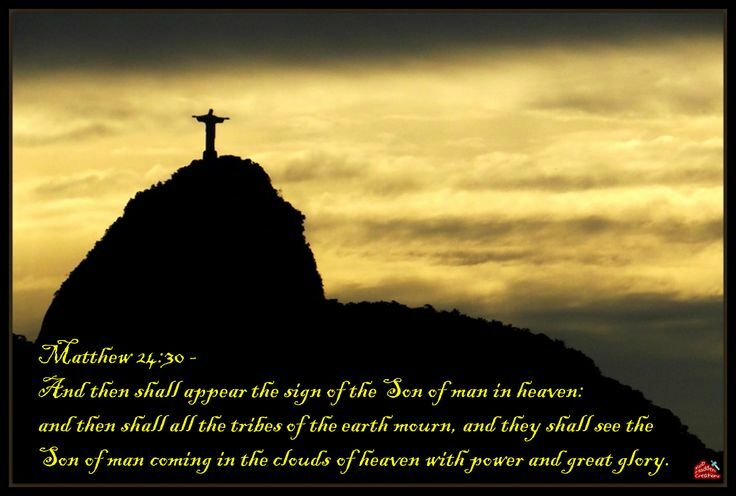 See Eye of Prophecy articles: The Tremendous Transfiguration of Believers (Posted 7-23-16) & The Shout Heard Around the World (4-22-17; with detailed description of the entire Rapture sequence). In addition to the amazing transformation of believers from dead or dying bodies on earth (we begin to die the moment we’re born) to immortal bodies in heaven, the Rapture is also the trigger point of four individual reappearances that will shake the planet, culminating in the bodily return of Messiah to establish his Millennial Kingdom on earth. In fact, the Rapture and the subsequent seven-year Tribulation entails one supernatural episode after another. 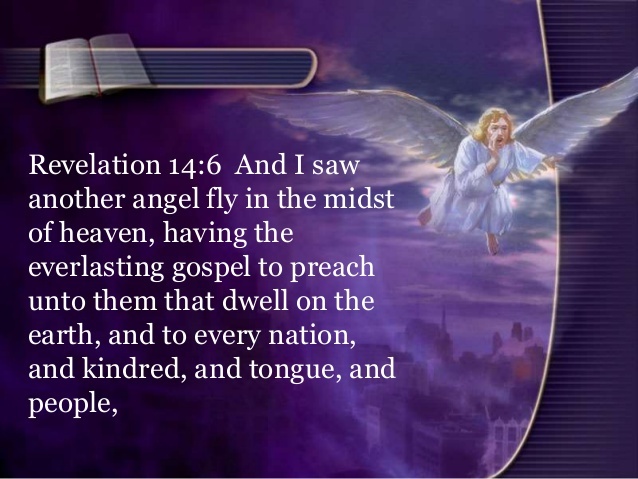 To even include God’s angels personally proclaiming the Gospel. The physical reappearance of these four beings has been covered to one extent or another in prior Eye of Prophecy articles. In this week’s article we’re going to bring them altogether in order of their arrival on the Tribulation scene, along with a summary review from where each one appears, i.e. where they currently are. Successively, they first arrived on earth as follows: (1) creation of Adam and Eve; (2) approximately 3,400 years ago; (3) about 2,900 years ago; (4) 1,982 years ago. Join me on a stimulating journey that will reveal a panoramic prophetic picture of the Fantastic Four. With fantastic in the eye of the beholder because: “What sorrow for those who say that evil is good and good is evil, that dark is light and light is dark, that bitter is sweet and sweet is bitter” (Isaiah 5:20). Two of them are bad guys, two of them good guys. The other three are human beings; whereas, we know that Satan was one of the angelic beings created by God, originally called Lucifer. Later he was given the name, Satan—which means accuser or deceiver (liar). However, his first corporeal appearance on earth was in the form of a serpent. Two things are important to grasp: (1) Every created being has a body, including angels … angelic being/body. Both fallen angels and God’s good angels have taken on human form. In Satan’s case, he possessed the serpent’s body in the Garden of Eden and proceeded to deceive Adam and Eve; accusing God of lying to them about dying if they did the one and only thing God told them not to do. However, there is no incident in the Bible in which Satan himself takes on human form. (2) Don’t entirely equate the serpent(s) of Eden with snakes. The Garden of Eden, “…serpent was the shrewdest of all the wild animals the Lord God had made. One day he asked the woman…” (Genesis 3:1). There are two options here to consider. One is that the serpent itself could talk. There’s no indication that Eve was surprised when the serpent spoke to her. The other scenario is that Adam and Eve already knew about Satan … fully aware it was the devil embodied in and speaking through the serpent. Either way, the original serpent possessed some measure of intelligence and status above the other animals. As we know: When Adam and Eve disobeyed the Lord, He pronounced a curse on them; on all creation including the animals—but particularly the serpent. “Then the Lord God said to the serpent, ‘Because you have done this, you are cursed more than all animals, domestic and wild. You will crawl on your belly, groveling in the dust as long as you live. And I will cause hostility between you (Satan) and the woman, and between your offspring and her offspring. He (Messiah) will strike your head, and you will strike his heel (physically—the death of Jesus; and spiritually—sins of all people laid on Jesus)” (Genesis 3:14-15, parenthesis mine). 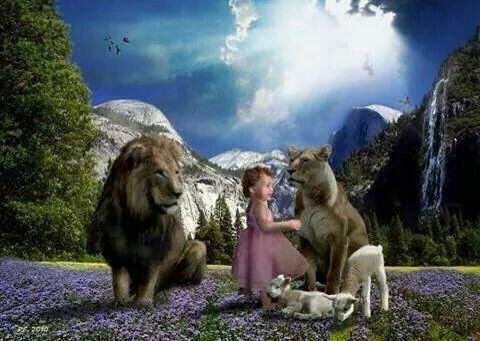 In view of the remarkable restorative changes in the animal kingdom during the Millennial Reign of Christ, it’s evident that all animals were originally created in a higher state than we see them today. Especially, the serpent. The serpent didn’t crawl until after God announced judgment on it. In the comparative context of Satan’s first appearance to mankind (Garden of Eden) and his reappearance (outset of Tribulation) in bodily form, the Bible slightly modifies the imagery of a (the) serpent to that of a (the) dragon. The express purpose of both images is that of identifying Satan … physically (actually) not metaphorically! Serpent and dragon are terms (names of Satan) that reveal him in bodily form, which is exactly what happened in his first tangible appearance to our original parents on earth. And will be how Satan reappears (tangibly, bodily) on the earth quite soon after the Rapture! Which probably surprises you; unless, that is, you’ve read Eye of Prophecy articles, Satan in Bodily Form … When and Why? Part I & II (Published 11-12 & 11-19-16). The term dragon is used as a physical manifestation of Satan’s (demonized) angelic body, in which he will be materially confined to the Abyss during the 1,000-year reign of Messiah and believers on earth. Also, the body in which he will be thrown out of heaven (forever) to the earth. When Satan realizes that this eviction from the heavenly sphere and bodily confinement to earth is permanent, he will be furious. He’ll vent his wrath against Jews and Christians of the Tribulation period (Revelation 12:13-18). Beginning with the first event (even before Antichrist reappears on the scene) after the Rapture. “Then there was war in heaven; Michael and his angels fought against the dragon and his angels. And the dragon lost the battle, and he and his angels were forced out of heaven. This great dragon—the ancient serpent called the devil, or Satan, the one deceiving the whole world—was thrown down to the earth with all his angels” (Revelation 12:7-9). (Refer to Eye of Prophecy article, A Mysterious Sign in Virgo … What Does It Mean? (9-23-17; which includes a detailed study of Revelation 12). One (strongly inferred) reason why this epic event will take place immediately after the Rapture is because all believers will be in heaven. The Lord will not allow Satan access to heaven to (now directly) get in the face of believers and accuse us before God as the devil has done through the ages, while believers were still on the earth. Redemption will be gloriously completed for believers at the Rapture, including no more temptations and accusations from the devil. Another reason that Satan’s reappearance on earth (immediately) precedes that of Antichrist is found in the last verse of Revelation Chapter 12 (verse 18). With, however, other/older Bible translations placing this as verse one in Chapter 13. Quoting the New American Standard Bible: “And the dragon stood on the sand of the seashore. Then I saw a beast coming up out of the sea…” (Revelation 13:1). Or, in the New Living Translation: “Then the dragon took his stand on the shore beside the sea” (Revelation 12:18). In other words, the dragon will physically be watching from the shore of the sea (undoubtedly the Mediterranean Sea) waiting for his Antichrist beast to ascend from the Abyss (Revelation 17:8). If Antichrist rises out of the Abyss and the Sea (as we just read), then the Abyss must be located beneath the sea. Satan’s original loss of his once permanent home in heaven and his (subsequent) battle with Michael that resulted in total banishment to earth are entirely different events. The first eviction involved Satan’s residence in heaven, but not his ongoing access to heaven—visitation rights permitted by God (example, Job 1 & 2). With Satan’s initial expulsion from his heavenly home, one-third of the angels followed him. This event took place even before God created Adam and Eve. In fact, Satan’s initial removal from (his home in) heaven is mentioned earlier in that same chapter of Revelation 12 (verses 3-4). Originally this ancient incident is found in Isaiah 14 and Ezekiel 28. Jesus, himself, described this first fall of Satan to his disciples (further confirmation that Jesus existed as God before becoming the God-man): “…I was watching Satan fall from heaven like lightning” (Luke 10:18, NASB). Notice that Jesus’s description was past tense. Whereas, the second reference to Satan’s (permanent) eviction from heaven in Revelation 12 is still to come. 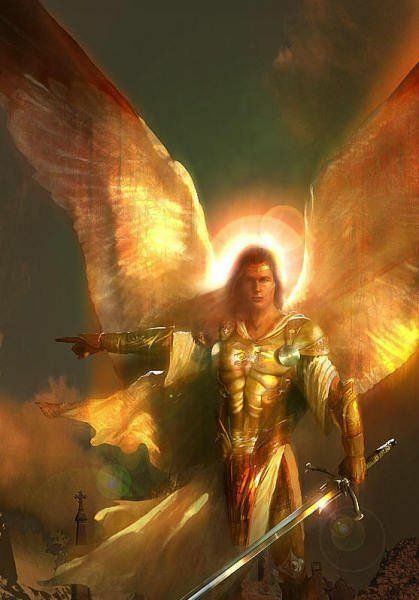 Lucifer’s heavenly status was one of the mighty cherubim angels, to whom God had given great authority over other angels—one reason so many angels rebelled with him. Satan’s reappearance on earth in his angelic body will be visible in our earthly dimension; albeit an angelic form that has been demonically degraded and perhaps even deformed by his evil nature. But dragon is NOT a symbolic term for Satan; it is Satan in literal form and appearance. Two of the seven letters to the churches in Revelation 2 & 3 refer to Satan. However, after John’s sudden transportation to heaven (preview of the Rapture) in Revelation 4:1 and subsequent chapters about the Tribulation, Satan is referred to as “the dragon.” With one exception and the reason thereof, which we’ll get to in a moment. As with the serpent and snakes, don’t think in terms of dragons characterized in literature or in the movies. The ultimate purpose for and use of “dragon” to depict Satan is to realize that he will be visibly embodied during the Tribulation and thereafter. Although, for the most part, I believe he will be behind the scenes energizing Antichrist (and the False Prophet) and not readily available on anything approaching a regular basis. That’s always been his style. Plus, he may not want many to see him in his abysmal (pun intended) fallen condition. Even if he’s still able to switch from one dimension to another, he will be restricted to the earth. Satan is referred to as the dragon in Revelation Chapters 12, 13, 16, & 20. In his reference to Satan as the dragon, John even reminds the reader: “This great dragon—the ancient serpent called the devil, or Satan, the one deceiving the whole world…” (Revelation 12:9). There’s no reason for John to remind us unless there was the need to realize that Satan had physically reappeared on earth, just like he did the first time in Eden. When John tells us in Revelation that the dragon took his stand on the seashore beside the sea, there is no symbolism whatsoever going on. Even more convincing is when Satan is bound (bodily as the dragon) and literally thrown into the Abyss. Again, John reminds us for emphasis who/what the dragon is. “Then I saw an angel coming down from heaven with the key to the bottomless pit and a heavy chain in his hand. He seized the dragon—that old serpent, who is the devil, Satan—and bound him in chains for a thousand years. 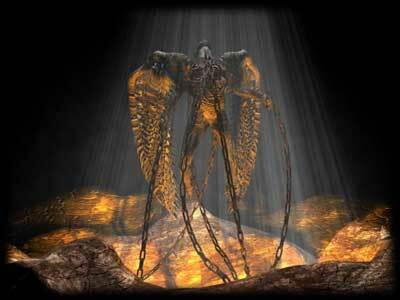 The angel threw him into the bottomless pit, which he then shut and locked so Satan could not deceive the nations anymore until the thousand years were finished. 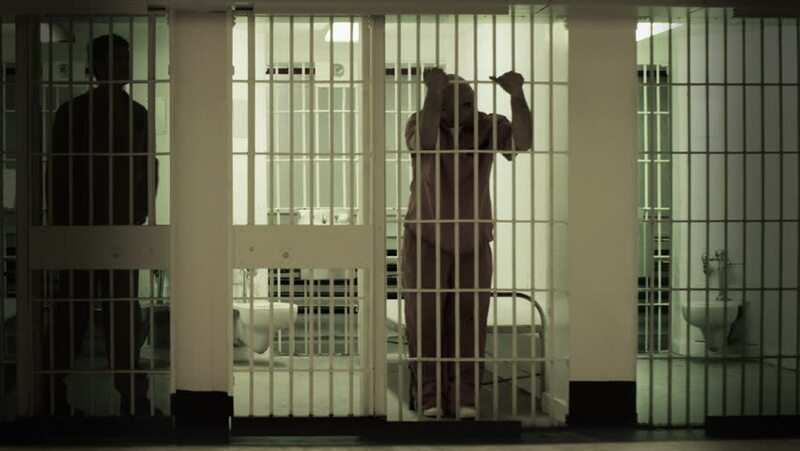 Afterward he must be released for a little while” (Revelation 20:1-3, emphasis added). Here, John calls the dragon Satan again, but for a specific reason. The dragon is bound and locked in the Abyss so that he (as Satan) could not deceive the nations. Likewise, when Satan is released from the Abyss one thousand years later it is to: deceive the nations. (Revelation 20:8). Consider it this way: Dragon is who Satan is (embodied angelic being); Satan is what the dragon does (lies, deceives, accuses); Devil is a (devilish) combination of the two … dragon and Satan. In the Bible’s last reference to Satan, we read: “Then, the devil, who had deceived them, was thrown into the fiery lake of burning sulfur, joining the beast and the false prophet. There they will be tormented day and night forever and ever” (Revelation 20:10). The designation of “devil” is used because it encompasses both who he is (angelic being … the dragon) and what he does (deceives … Satan). When Satan and his demons are defeated by the Archangel Michael and his angels, Satan will be thrown down AND confined to the earth in/as his embodied (demonic angel) self. Thus, he will be able to function only in our earthly element, subject to all the restrictions within the parameters of that existence. No longer in a fourth or fifth or whatever otherworldly dimension that angels otherwise occupy. First question: How could the angel “seize the dragon” if Satan was still in an ethereal (spiritual) dimension with all the intangible features of that sphere? The very definition and meaning of seize is a material concept. It is taking literal possession of or physically capturing something or someone by force. For example, the beast and false prophet are “captured” during the final battle of Armageddon and physically thrown into the Lake of Fire (Revelation 19:20). For that matter, there would be no reason for all the successive terms to be used in Revelation 20 if this whole scene was merely metaphorical. If all we were meant to know is that Satan, the deceiver, would be confined to the Abyss for 1,000 years, then that’s all the passage need tell us. We wouldn’t need all the specifics. But there are tangible details, because the earthly features of the dragon and the means of his imprisonment are real, not figurative. Next question: Is the bottomless pit a real place? Does it exist? According to Scripture, absolutely. It is the actual abode for the exceptionally evil embodied angels (II Peter 2 and Jude based on Genesis 6); for the Antichrist beast (Revelation 17); and for Satan as the dragon (Revelation 20) during the Millennium. There’s nothing allegorical about the Abyss, any more than Hell is symbolic. In fact, the Abyss and Hell are separate locations. You remember that the demons cast out by Jesus in the region of Gerasene begged him not to (literally) send them to the Abyss (Luke 8). Is, then, the “key to the bottomless pit” real? Why wouldn’t it be? The same term is used in Revelation 9, when an angel uses that key to open the “shaft of the bottomless pit.” To release those same wicked angels to torment Antichrist’s followers with stings so painful, the people stung wished they could die. The key is literal, but it could be a seal of some sort. Not in the sense of a parallel purpose; rather in terms of confinement, we could think of the sealed stone rolled across the tomb of Jesus. Similar question: Is the angel’s shutting and locking of the Abyss (shaft) also literal? Yes, it is, as demonstrated by a subsequent question: How do we or why would we symbolically shut and lock anything tangible? Allegory is not only not needed in this passage; it’s noticeably awkward to symbolize anything or (in this case) everything going on in the seizing, chaining, throwing, shutting, and locking of the dragon in the literal Abyss. Last question on that subject, and perhaps the most obvious reason why there is no symbolism at all going on concerning Satan’s confinement in the Abyss as an embodied being. If, indeed, the chain was merely metaphorical, then why is it a heavy chain? If the chain is figurative, there’s no need whatsoever to make it heavy. Or even to (allegorically) use a chain at all. It was a “heavy chain” because that is what it will take to secure a powerful dragon (embodied angelic being) in a literal prison. Thus, Satan himself will be the first to reappear in bodily form after the Rapture. The Antichrist Beast … Born 37 A.D. The next supernatural reappearance (return) will be a man who died nearly 2,000 years ago. As with Satan—the dragon, and with the next two men who reappear later, this man returns in his same body. The Antichrist could not be a modern-day born man, because Revelation 17:7-8 clearly states that this man had already lived and died even before John wrote the book of Revelation. By thorough scrutiny of every Biblical passage on the Antichrist, including but not limited to the number of the beast (Revelation 13) and the fact that the seven heads of Revelation 13 & 17 are Roman Emperors, I believe the evidence is overwhelming that the Antichrist is the Roman Emperor Nero. The Antichrist beast who had died returns to earth from the Abyss (Revelation 11 and 17). For this to happen, he obviously must first be placed in the Abyss—which is where the Lord confined Nero … reviving him shortly after Nero died. As Caesar, Nero was the ruler prophesied by Daniel whose armies would destroy Jerusalem and the Temple. It was Nero who ordered his generals, Vespasian and Titus, to march on Israel in 66 A.D. After Nero died in 68 A.D., Titus finished the conquest and destroyed the Temple in 70 A.D.
It’s unlikely that Nero knows why he was brought back to life or why he is the only human being ever imprisoned in the Abyss—along with exceptionally evil angels. I’m guessing that he doesn’t regard himself as evil. Or, maybe he does, and prefers it that way. As indicated, the Abyss is a real place under the earth (sea); not an intangible, ethereal, extra-dimensional domain. Neither Satan nor his demons have access to the Abyss, nor want to go there. Satan is not a mind reader, nor omnipresent, nor omniscient. And certainly not omnipotent. Thus, it’s highly improbable that he has been able to communicate with his Antichrist; that’s why the dragon will be waiting by the sea for Nero to come up out of the Abyss. To brief Nero on the power and authority that awaits him, including Satanic manipulation over what and whom God allows Satan to control in his capacity as the dragon (Revelation 13:3-8). Antichrist Nero will reappear shortly after the Rapture. But not until the dragon (Satan) is defeated by Michael, thrown down to the earth in his (earth-bound) angelic body, and banned forever from heaven and heavenly places. The next two (third and fourth) are powerful prophets from long ago who will also return in the same bodies in which they left the earth. One without dying; the other revived by the Lord soon after his death. Both taken directly to heaven where they have been preserved in their original bodies for their reappearance rendezvous during the Great Tribulation. I’ve written about these two men in a few articles, most extensively in the trilogy of articles, The Two Witnesses I, II, III (published June 2014). And the more recent: Moses & Elijah vs. Antichrist & The False Prophet (2-10-18). The Lord refers to them as follows: “And I will give power to my two witnesses, and they will be clothed in burlap and will prophesy during those 1,260 days (3 ½ years of the Tribulation)” (Revelation 11:3). Then we read: “These two prophets are the two olive trees and the two lampstands that stand before the Lord of all the earth. If anyone tries to harm them, fire flashes from their mouths and consumes their enemies” (Verses 4-5). The tree and lampstand images are taken directly from a prophecy of these two men given over 500 years earlier. Which concludes with an answer to Zechariah’s question concerning the two olive trees: “…They represent the two heavenly beings who stand in the court of the Lord of all the earth” (Zechariah 4:14). The reason that the angel described these two men as heavenly beings is because both Elijah and Moses have been kept in heaven in their original bodies. Many Bible scholars and students agree that the two witnesses of Revelation are Moses and Elijah, with Elijah an easier connection to make because he was taken alive from the earth to heaven without dying. But not so, Moses … as he died. Consequently, there is hardly any commentary on how (therefore, why) Elijah and (especially) Moses appear, i.e. in their original earthly bodies. I’ll provide an explanation shortly. The bodily return of these two mighty prophets will rivet global attention. They will also rival the awe and allegiance afforded to Nero because of his bodily return to the earth; as well as the adulation given to the False Prophet who speaks and acts on behalf of the Antichrist beast (Revelation 13). 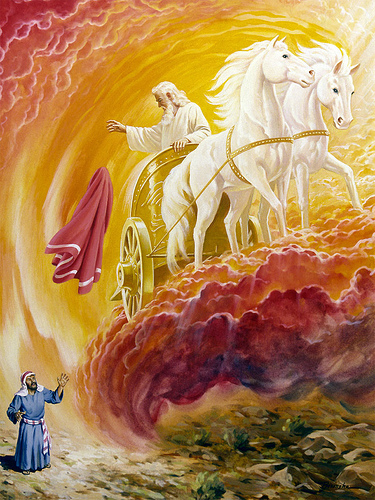 The Biblical account of Elijah’s astonishing transportation to heaven in a chariot is well-known by believers and unbelievers alike. Like Enoch, Elijah was taken directly to heaven without first dying; however, Enoch won’t be the other prophet alongside Elijah. That role goes to Moses. Enoch is not designated as a prophet, by the definition and duties of a prophet delineated in Scripture. In fact, the first prophet was Moses. 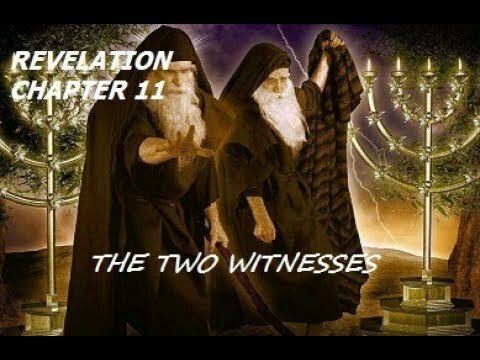 Revelation 11 clearly calls these two witnesses, prophets. *Note: Enoch’s transportation to heaven was a prototype of raptured believers. Just like Enoch was spared from the Great Flood (based on life expectancy back then he would have been alive to see his great-grandson Noah build the ark); so, too, will the Rapture of living believers spare them from God’s second (and final) global judgment. Time/space doesn’t permit elaboration regarding Elijah’s tremendous transference to heaven, except the event itself found in the following verse, plus one brief commentary from my second book. “As they were walking along and talking, suddenly a chariot of fire appeared, driven by horses of fire. It drove between the two men, separating them, and Elijah was carried by a whirlwind into heaven” (II Kings 2:11). Do you know or recall who the other man was? Correct: Elisha. 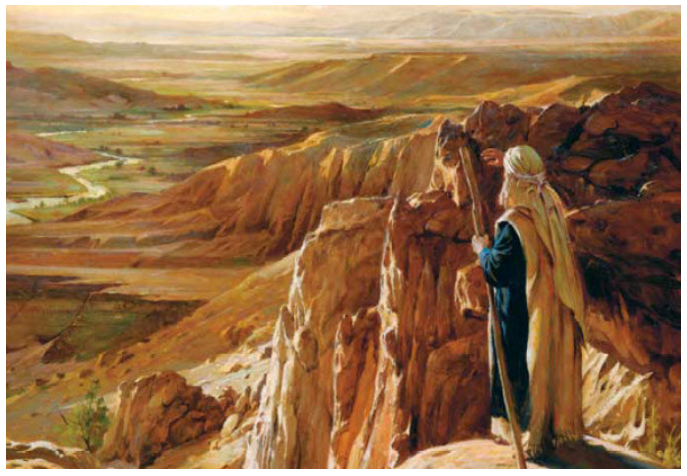 Elijah was still alive; thus, God provided special transportation for his journey. Talk about a joy ride! Beats any roller coaster, race car, speed boat, supersonic jet, or spaceship known to man. As is said, “What a way to go!” (Out of the Abyss, Page 245). Elijah was taken to heaven to join Moses for the express purpose of (1) brief return to earth to meet with Jesus on the Mount of Transfiguration; (2) reappear some 2,000 years later in Jerusalem to directly take on Antichrist Nero and the False Prophet. And, indirectly, the dragon. Concerning the Mount of Transfiguration, it’s easier to grasp how Elijah could have appeared in his original body, than Moses’ bodily appearance—as Moses had died. Because Jesus had not yet died and risen from the grave, no one would be resurrected or transformed if still alive with new spiritual bodies given to all believers (including Moses and Elijah) until Jesus’s resurrection and later the Rapture. So how in the world could (did) Moses appear on the Mount of Transfiguration and will return during the Tribulation in that same earthly body? To explain why and how Moses could appear in his original body (alongside of Elijah) at both events, we’re going to look at one of the most intriguing verses in all of Scripture, found in the one-chapter book of Jude. One that is virtually devoid of commentary from Bible scholars and teachers, but one that will (when compared to the death and burial of Moses) solve the mystery of Moses’ reappearances with Elijah. Next, we find a brief but extraordinary and mysterious scene involving Michael, Moses, and Satan. “But even Michael, one of the mightiest of the angels, did not dare accuse the devil of blasphemy, but simply said, ‘The Lord rebuke you!’ (This took place when Michael was arguing with the devil about Moses’ body)” (Jude 1:9, parenthesis in the text). At this point in Biblical history, it had been the destiny of every person on earth to die, except Enoch. Man’s sin resulted in the curse of death…. At the time of Moses, there had not yet been any physical evidence of bodily resurrection from the dead. Of course, Satan knew where the spirits of the dead went after the person died; to Sheol (Hades in the New Testament) with a great gulf between the unsaved and those declared righteous because of their faith. But the fact was then, and still is today; a person’s body stays in the grave and decays. Not until the Rapture of Christians and the subsequent Great White Throne Judgment of all unbelievers, will there be a permanent bodily resurrection from the grave. Even those that Elijah, Elisha, Peter, and Jesus raised from the dead had to die again. Why was Satan so bent out of shape over the body of Moses? The only rational, logical explanation is that Michael, on orders from God, had arrived to take the body of Moses directly to heaven. In fact, can you think of any other reason? This may also explain why no one knew where God had buried Moses. For that matter, how often does God directly bury someone himself, let alone conceal the burial site? *Note: A pause to answer that rhetorical question. No other person in Scripture was buried by God. In fact, the Lord even prepared Moses by telling him ahead of time when Moses would die and where (Deuteronomy 32:48-52). Because Moses was still healthy at age 120, it’s as if God “took” him in the fashion of Enoch and Elijah; except that for Moses it was by death. You may want to read the account of Moses’ death and burial as found in Deuteronomy Chapter 34. But since Moses died, let’s continue in Out of the Abyss with the reason Satan argued with Michael over Moses’s body. Moses would be raised from the grave with his original body intact, and this didn’t set well with Satan… It is entirely credible that Satan reminded Michael (and God) that the curse of sin was physical death and bodily decay. God had no right to make an exception to this rule, as it was God’s decree in the first place that Adam and Eve would surely die if they sinned…. In no uncertain terms, Michael reminded Satan that God is in control; God has the final say in all things. If the Lord wanted to take Enoch from the earth directly to heaven (and later Elijah), then the Lord would do just that. Same thing with Moses; the only difference is that Moses had died, but that’s a mere technicality with God. …Plus, Moses needed more help than Elijah, as Moses was dead! He needed the Archangel Michael’s assistance, whereas, Elijah needed only a chariot of fire! …I am with those Bible students who believe Elijah and Moses will be the two witnesses, all the more because of Jude’s account of Moses’ body. That means Elijah will die once, and that Moses will have to die a second time at the hand of the Antichrist as depicted in Revelation 11; but then so did Lazarus and a few others have to die twice (pages 243-245). The spectacular, but surreal special effects and portentous plots of Hollywood movies, television programs, and Si-fi novels are preparing the world with virtual apocalyptic images of supernatural beings who suddenly are transformed, or do extraordinary things in their natural bodies—both heroes and villains. However, these four beings of the Tribulation appearing from the distant past are alive and real. Two of them diabolically evil; anti-God and anti-Christ, with an equally wicked accomplice who appears for the first time … the False Prophet. The other two are mighty men of God who will demonstrate His power as they did in times gone by. For those left behind, there will be a crystal-clear choice to make. No more doubt or indecision or fence-riding. Either believe in Messiah Jesus, whose 144,000 Jewish post-Rapture born-again followers (Revelation 7 & 14) and whose two powerful prophets performing miracles of old (Revelation 11) will challenge the world to choose Christ. Or believe the counterfeit miracles of the False Prophet and a colossal statue. Both will speak and act for the Antichrist, whose astonishing reappearance from the grave will profess to rival and replace the true Messiah, Jesus. With the dragon (embodied Satan) empowering and egging them on from the sidelines. Above all, the most magnificent return will be that of Messiah Jesus. In the same glorified body and at the same location where he ascended to heaven 2,000 years ago—the Mount of Olives in Jerusalem.